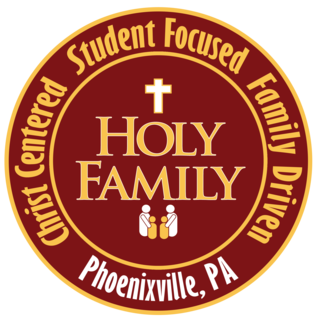 The Holy Family School Board of Limited Jurisdiction (BLJ) is a group of parishioners and community members who have come together as volunteers and experts in their fields to work for a common initiative: the long-term sustainability and growth of Holy Family School. The Board of Limited Jurisdiction was formed in the Summer of 2017. This decision was made by the Archdiocese of Philadelphia in collaboration with the Pastors of the comprising Holy Family Regional School. Board Members prepared for their work by participating in workshops and training sessions conducted by the Archdiocesan Office of Catholic Education. At the forefront of the Board&apos;s work is the continuation of the strong traditions and Catholic education for the HFS faith community. Through board meetings and committee work, the BLJ will work in conjunction with the two pastors serving on the board, Father Hutter and Father Newns, to set specific goals, make strategic decisions and be proactive in ensuring the school&apos;s prosperity for the present and far into the future. Board duties include Advancement and Strategic Planning, Financial Oversight, Board Development and Oversight, and Principal Selection and Evaluation. The Principal is the chief administrator who implements policies and planning goals, oversees personnel and oversees curriculum. Board members may serve 2 three-year terms. If, after viewing the report, you have any questions, please contact the HFS Business Manager, Stephanie Bahr, at 610-933-7562. Gloria Cascarino is a strong advocate for Catholic education. A former hospital Operations Manager, Gloria is currently a Senior Associate in a design firm, and Co-Chair of the External Advisory Board, at Camilla Hall in Malvern. She is a member of Our Lady of the Assumption Parish, in Strafford. Catherine (Cassie) DeBow is a strong advocate for Catholic education having spent thirty-nine years of her forty-four year career in Catholic schools. Cassie brings her Master&apos;s degree in Catholic School Leadership, Administration and Supervision, and her experience as a teacher, adjunct professor, elementary principal, and a team leader for four Middle States Accreditation teams. Cassie is a St. Ann parishioner. Frank Hennessey has a bachelor’s degree in economics from Ursinus College and a Chartered Financial Consultant designation from The American College of Financial Services. He a is founding partner of Premier Planning Group, Inc. and a board member and treasurer of PLAN of PA, a local non-profit. Frank has graduated 3 children from HFS and has served on numerous committees at HFS, St. Ann’s Church and the Archdiocese of Philadelphia. Bernadette (McGuigan) Kovaleski is a graduate of Holy Family School and a current parent. Her daughter joined the HFS community this academic year. With 16 years of experience in education and non-profit advancement, Bernadette currently works in Alumni and Development at the Perkiomen School. She is member of St. Ann parish. Dave Lebisky is a parishioner of St. Mary of the Assumption and he and his wife Jen have three boys currently enrolled in Holy Family. Dave attended Archdiocesan grade school and high school as well as a Catholic university and believes in the value of a faith-based education. In his professional life, Dave has a consulting business and serves as an officer of various investment companies, working closely with their investment advisers and boards of directors/trustees. In his personal life, Dave is active in the Holy Family and St. Mary communities and serves as a board member of a not for profit organization. Mary Denise Marsh is a parishioner of St. Joseph Parish, Spring City, and chairs their Finance Committee. She also served on Sacred Heart Parish Finance Committee for 10 years, and Holy Family School Finance Advisory Council for 9 years. Mary Denise was the Controller for the Phoenixville-Spring Valley YMCA for over 30 years before retiring. Leo Parsons is President and Chief Operating Officer of Communications Test Design Inc., located in West Chester. He is actively engaged in the catholic community and provides his leadership on several boards and committees supporting the Foundation for Catholic Education and the Chester County Advisory Council. Additionally, Leo brings to the Board his experience from the Bishop Shanahan High School Advisory Board, where he serves as Board Chairman. Raffaele (Ralph) Rose has been a member of the Holy Family community for the past eight years as he has watched his only daughter thrive and now graduate from our school. Ralph brings his understanding of our HFS parent community, his IT expertise and his work on the school’s Technology Committee. Ralph is a St. Mary of the Assumption parishioner. Dan Sabatino is a parishioner of St. Ann&apos;s Parish and alumni of St Pius X in Pottstown. His degree is in Civil Engineering and his expertise lies in construction management. Dan has been a part of the Holy Family community since 2009 and currently has four children attending Holy Family School. Dr. Monica Watson has an educational career spanning forty-four years and covers assignments as a Catholic school teacher at St. Basil, a Catholic school principal, a public school principal and a Director of Curriculum and Professional Development where she was responsible where she was responsible development and oversight of K-12 curriculum in the district and the professional development of all principals and staff in her district. Monica is a St. Basil the Great parishioner.